UFO-Forschung - Zoo hypothesis may explain why we havent seen any space aliens The hypothesis holds that they can see us, but we cant see them. Astronomie - NASA’s shrinking window for a mission to Triton This little mission with big returns would give scientists a closer look at a moon that may host an environment hospitable for life. Astronomie - Ultra-sharp Images Make Old Stars Look Absolutely Marvelous! Ions move faster than atoms in the gas streams of a solar prominence. Scientists at the University of Göttingen, the Institut d'Astrophysique in Paris and the Istituto Ricerche Solari Locarno have observed this. The results of the study were published in The Astrophysical Journal. In astrophysics, the "fourth state" of matter plays a crucial role. Apart from solid, liquid and gaseous states, there is also "plasma", which means an accumulation of atoms that have lost shell electrons through collisions or high-energy radiation and thus become ions. These ions are subject to magnetic forces that do not affect electrically neutral atoms. If there are not too many collisions in the plasma, both particle types can flow independently of each other. The researchers have now succeeded in observing the physics phenomena in just such a "partially ionised plasma without impact equilibrium" in gas streams of the Sun. 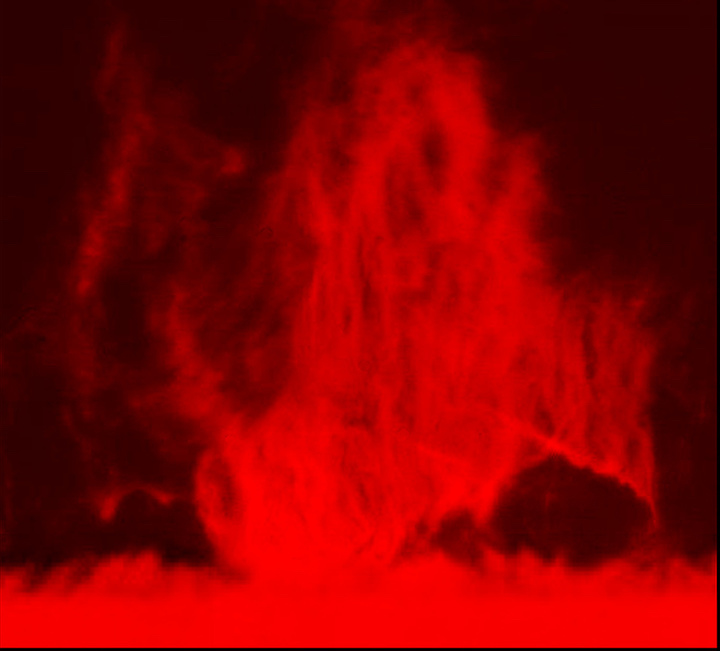 The result: in clouds above the edge of the Sun, also known as prominences, ions of the element strontium move 22 per cent faster than sodium atoms. 16 hours later, the ions were only eleven percent faster. "Evidently, the neutral sodium atoms were more strongly carried along by the strontium ions," says Dr Eberhard Wiehr of the University of Göttingen, first author of the study. This could be caused by an increased particle density, which increases the probability of impact. "In addition, the flow behaviour of the prominence could have changed in the 16 hours," says Wiehr. The faster ions move in sync with the oscillation of the magnetic fields. This keeps the prominence in suspension despite the attraction of the Sun. Movements in deeper layers of the sun cause the magnetic lines of force to fluctuate. The ions immediately follow the reversal of the direction of oscillation, while the neutral atoms have to repeatedly reorient themselves with the ions. The researchers are now planning a systematic search for prominences with suitable oscillations that can be measured over a longer period of time.